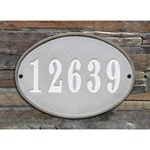 House Numbers and Address Plaques | Free Shipping! 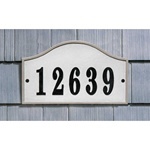 Good house numbers should be highly visible and easy to read from the street. 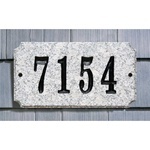 Every home should have clear house numbers displayed so that friends, family, and emergency personnel can find your home easily. 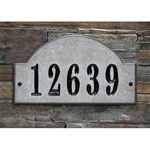 We offer house numbers and address plaques in a variety of shapes, sizes, and colors to choose from. 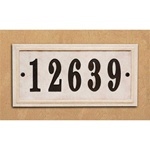 All house numbers are available with free shipping and handling! 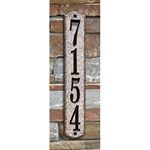 For more great products for your home, just visit our For The Home category. 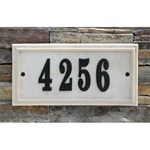 You'll find lots of product to spruce up your home's exterior and boost your curb appeal. 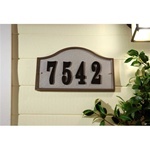 For example, we offer a complete line of replacement door hardware for both prime doors and storm doors. 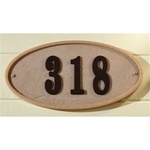 Make a good first impression on visitors with a shiny new door handle. Is your hardware tarnished or rusted? It may be time to consider buying a new handle set or lockset! 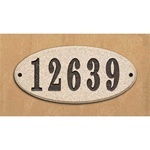 Consider this: your front door is the first thing that your guests will see when they visit your home. Everyone wants to make a good first impression, so why not show them something really nice, and buy an upgraded handle set? Forget the old push button locks of the past! They are outdated and they feel cheap. 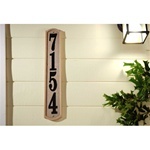 A premium handle set is the way to go, especially on a new or refurbished home. Many of our door hardware products feature lifetime finishes that guarantee they'll never rust, tarnish, or decay for as long as you own your home. 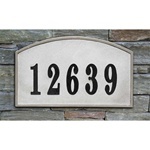 For more information on warranty details, please see specific product detail pages.